Celebrating the launch of KINGDOM HEARTS III at the end of January 2019, the KINGDOM HEARTS Orchestra concert series will be back on tour with a brand-new program, KINGDOM HEARTS Orchestra - World of Tres-, starting April 27, 2019 with 22 performances in 17 cities around the world. Acclaimed by more than 80,000 spectators over the past two years, it will enchant even more people with its unforgettable score and new thrilling video sequences in an unprecedented experience that is not to be missed. With giant screen video projection in perfect harmony with the music being played by a top-notch orchestra and choir of more than 100 musicians, the show will continue to bring passion to the millions of fans of the long-running video game series. The acclaimed worldwide program that took video game concerts to the next level of quality have been welcomed in prestigious venues such as the Dolby Theatre (USA), the Tokyo International Forum A (Japan), the Esplanade Concert Hall (Singapore), and the Sony Centre (Canada). The 2019 tour will be welcomed by some new venues such as the Palais des Congrès in Paris (France), the Kölner Philharmonie (Germany), the Dr. Phillips Center for the Performing Arts – Walt Disney Theater in Orlando (USA) or the Centennial Hall in Sydney (Australia). Tickets will be available for presale purchase in selected cities starting January 30, 2019 at http://shop.wildfaery.com (from 8pm local time of each city) : Singapore, Chicago, Los Angeles, Orlando, New York, Köln, Atlanta, Paris, Sydney, Dallas and London. The pre-sale will deliver the best available tickets in each venue and each price category, with some exclusive VIP tickets. Public on sale will then start from February 12, 2019 for the remaining tickets at each venue box office. P.S. : Concert schedule or ticketing information is subject to change without notification. KINGDOM HEARTS is a series of role-playing games created through the collaboration of Disney and Square Enix. Since the first KINGDOM HEARTS was released in March 2002 for the PlayStation 2, the series has expanded with several additional entries. The series celebrated its 15th anniversary in March 2017, and has shipped over 25 million units worldwide. In KINGDOM HEARTS III, Sora joins forces with Donald Duck and Goofy, two emissaries sent by King Mickey from Disney Castle, to stop the Heartless and fight the Disney villains working with them, like Maleficent, Pete and Hades. 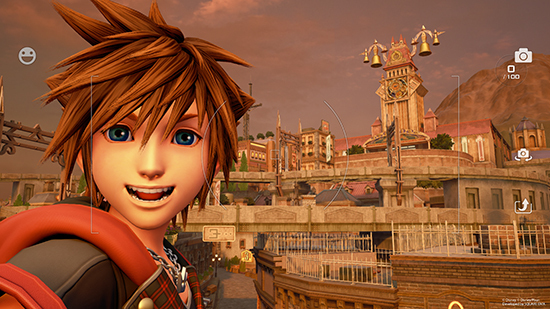 Harnessing the power of positivity and friendship, Sora and his friends must overcome tremendous challenges and persevere against the darkness invading their worlds. KINGDOM HEARTS Orchestra –World of Tres– is an official concert tour of KINGDOM HEARTS music performed by a full orchestra. Game footage on a giant screen accompanies orchestral arrangements, allowing fans to immerse themselves in the story so far. The set list includes popular songs of the series as well as new music from KINGDOM HEARTS III. Following KINGDOM HEARTS Concert –First Breath– (2016) and KINGDOM HEARTS Orchestra –World Tour– (2017–2018), this will be the third official concert of the KINGDOM HEARTS series. This global musical event will kick off in Tokyo in April of this year, with performances in Osaka, North Ameriaca, Europe, and Asia.